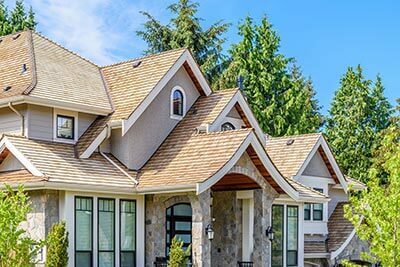 Gutter Guards | Pigeon Forge, TN | Valley Vista Construction, Inc. In our many years of serving the residents of Pigeon Forge, TN, and the nearby areas, we’ve come to understand that home improvement needs can vary greatly depending on various factors. These include location, lifestyle, age, size of family, and more. That’s why when you choose Valley Vista Construction, Inc., we take the time to get to know you personally, so we can better serve you. As a family-owned and -operated business, our primary focus is on treating our customers to the highest level of service and adding lasting value to their properties. We are proud to have received GAF’s highest accreditation as a Master Elite™ Contractor. This certification places us among the top 3% of all roofing contractors in the country today. It echoes our commitment to installing only premium products and backing our work with stellar warranties for your absolute peace of mind. Our customers are always happy to refer us, and for good reason. Our way of doing business is based on a fully consultative approach to every project we take on. As the homeowner, you get a say in every step of the process. Respect of personal property, professionalism and communication are paramount to our process. We also make sure to perform a thorough inspection of the part of your home that needs fixing or replacing. This helps us determine exactly what you need and provide you with a fair and free estimate. Choosing Valley Vista Construction, Inc. for your project in Pigeon Forge, TN means you’ll get a quality job using the finest materials. Get started today by calling (865) 963-7003 or by filling out our contact form. We would love to hear from you.